This item has been sold and is no longer available. Please search our site and if you need assistance give us a call at 1-800-567-6922. 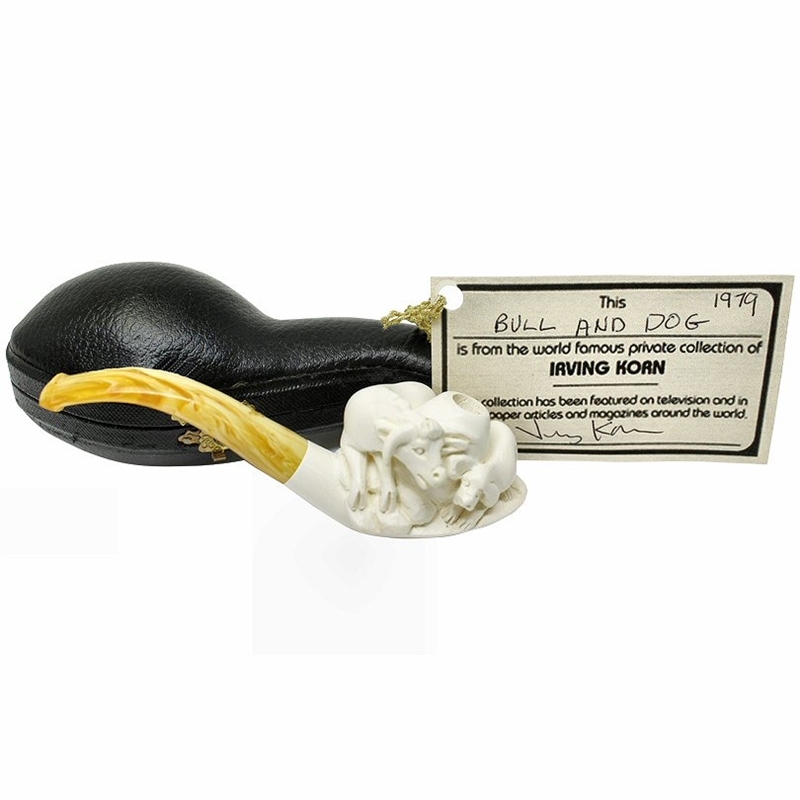 Hand Carved Sheep and Dog Meerschaum Cigarette Holder - Fully carved 3 dimensional dog and sheep figures surround the cigarette holder bowl. 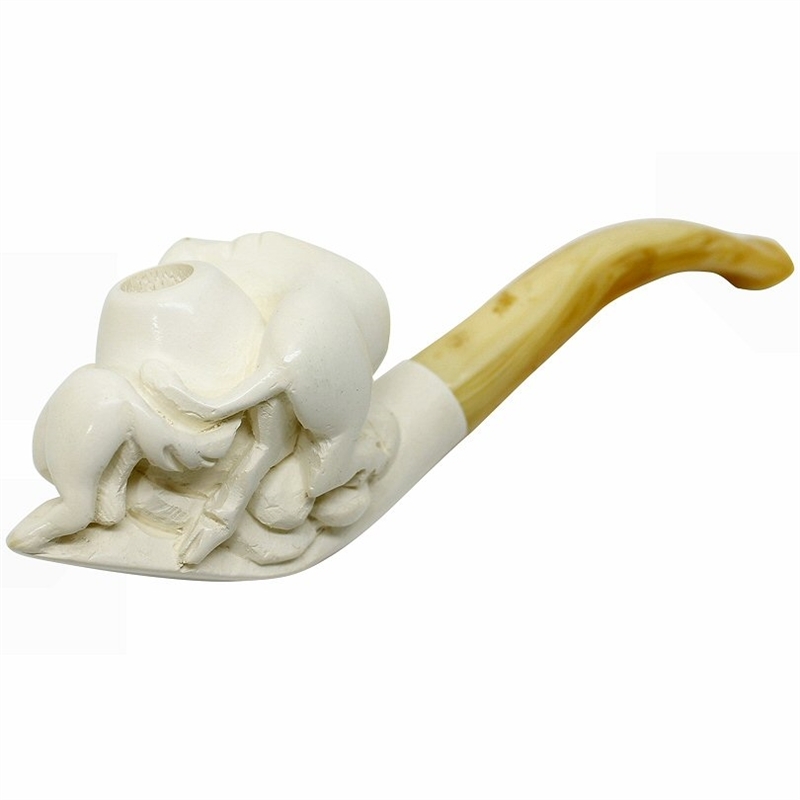 Since it is made from 1st Quality Block Meerschaum the holder will turn a darker color as you smoke thru it, the same way a solid block meerschaum pipe changes color. This one of a kind cigarette holder comes certified dated 1979 from the estate of Irving Korn. 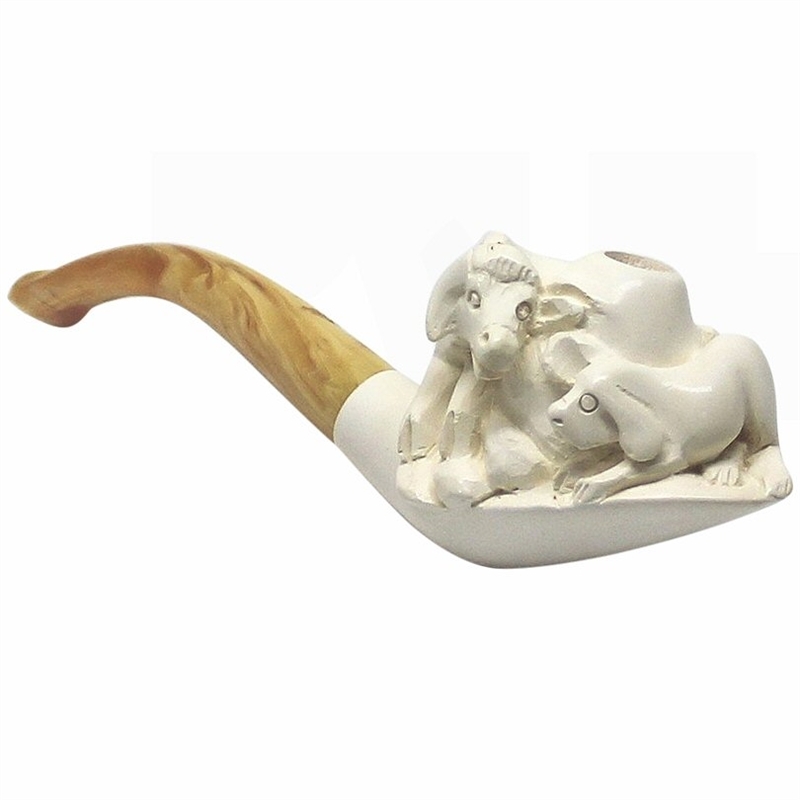 It is hand carved from 100% Solid Block Meerschaum and was imported directly from central Turkey. Once carved it was soaked in beeswax so that it will color over time after being smoked. The yellow stem is made of a special Amberoid Acrylic for good looks and long lasting durability. The holder is in brand new condition and comes in a custom made yellow velvet lined black leather hinged case. Guarantee: All of our cigarette holders and pipes come with a 100% customer satisfaction guarantee.